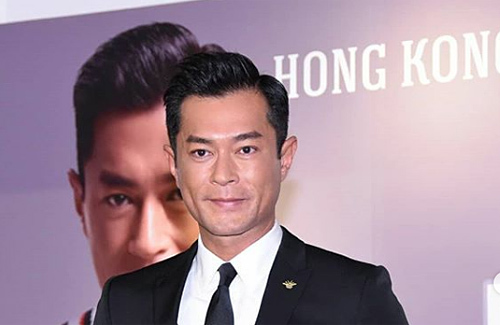 Having just turned 48 on October 21, Louis Koo (古天樂) is at the top of his game. Winning Best Actor at this year’s Hong Kong Film Awards for Paradox <殺破狼貪狼> , the hardworking actor divides his time between his film production company, charity work, and a strict health regime. Louis’ story as the reformed bad-boy is a well known one. Having committed robbery when he was 20 years old, he was initially sentenced to one year in a detention center. Due to his penchant for getting into fights after learning that his partner had left him for someone else, this sentence was then extended to two years. It was only due to the influence of a 70-year-old nun that he decided to change his approach to life and to turn over a new leaf. Louis joined TVB in 1993, and with his fair skin and refined look, became popular in 1995 after his role in The Condor Heroes 95 <神鵰俠侶>. Shortly after, in 1997, he made the decision to overhaul his clean-cut image, opting for a shorter hairstyle, fitter physique and his now trademark, tanned complexion. It was after this change in image that his popularity and success really took off. Today, apart from acting, Louis also runs his own film production company, which aims to support Hong Kong movies and to give opportunities to new directors. This includes Nick Cheung’s (張家輝) Keeper of Darkness <陀地驅魔人>, Chapman To’s (杜 汶 澤) The Empty Hands <空手道> and a host of movies by new directors such as Men On The Dragon <逆流大叔>, Sisterhood <骨妹>, In Your Dreams <以青春的名義>, Get Outta Here <死開啲啦> and Tracy <翠絲>. In addition, this year Louis has also taken on the role of President of the Hong Kong Performance Artistes Guild (HKPAG), a non-profit labor association that represents Hong Kong artistes and performers. Fit physique aside, Louis is also known for having a big heart. After the 2008 Sichuan earthquake, he made significant contributions in the hope of helping to rebuild schools for disadvantaged children. It is estimated that his charity has built over 100 elementary schools, and that he has donated around $30 million RMB. And what of this diamond bachelor’s love life? Louis has only publicly acknowledged one girlfriend, Natalie Wong, whom he met in 1994 while working together in TVB drama Happy Harmony <餐 餐 有 宋 家>. It is rumoured that despite breaking up in 2001, Louis still helps out her out financially when she is in need. Loyal, generous and good-looking. How can we not love Louis?